If you have been charged with driving while intoxicated (DWI) in North Carolina, it may be your first time ever being charged with a crime and being involved in a criminal proceeding. You may have questions about what is going to happen to you and what steps you should take. The last thing that you want to do is make mistakes that could hurt your criminal case. Not taking the charges seriously. You face serious penalties if convicted of DWI that include a fine of between $200 and $10,000, possible jail sentence, driver’s license suspension, community service, and more. In addition, you will have a criminal record for the rest of your life that could impact on your ability to obtain a job, professional license, certain loans, and citizenship. 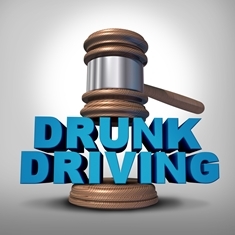 You need to do everything you can to reduce the potential long-term consequences of a DWI conviction. Assuming you have no defense. Even if you know you drove after consuming alcohol, you should not make the mistake of assuming that you have no defense that could lead to a dismissal of the charges or a reduction to a lesser charge. There are many procedural, constitutional, or other defenses based on the actual crime you are charged with that could result in a much more favorable outcome than you may think possible. Hiring an attorney based on cost. You need an experienced criminal defense attorney with a track record of success in representing people charged with DWI. This is not necessarily the attorney who charges the least. An attorney who is the cheapest may be only interested in working out a plea agreement for you without doing a thorough investigation and preparing a defense to determine if the charges can be dismissed or reduced. Lack of investigation. As with other criminal cases, your attorney should conduct a thorough investigation of your case and all the evidence—not just reading the police report at your hearing—for you to have a strong defense to the charges. When you interview attorneys before hiring one, you want to find out what type of investigation the attorney plans to do in your case. Assuming the police made no mistakes. You cannot assume that the police made no mistakes in stopping you, administering field sobriety tests and a breathalyzer test, and in other aspects of your arrest. Depending on how serious the mistakes were, you may be able to get critical evidence suppressed and the charges against you dismissed. Driving when your license is suspended. If your license is suspended or you are allowed to drive on a restricted basis, you should not make the mistake of continuing to drive in violation of the judge’s order. If you get caught driving, you could face a longer suspension, additional fines, and possible jail time. Talking to the police. A common mistake people make is to continue talking to the police once they are given their Miranda warning about their right to remain silent. By continuing to talk, you give the police the opportunity to catch you in a lie, convince you to confess, or make other mistakes. You want to exercise your right to remain silent right away. Failing to attend court hearings. You must attend all required court hearings. If you fail to do so, the judge could issue a warrant for your arrest, revoke your bond, or sentence you more harshly down the road. Accepting a plea agreement on your own. You never want to accept a plea agreement from the prosecutor without first consulting with an attorney who can advise you of all possible defenses and likely outcomes if you fight the charges against you. Not seeking alcohol treatment. If your attorney advises you do to so, you should voluntarily submit to a substance abuse assessment and follow through with the recommended treatment. Doing this and remaining abstinence free from alcohol consumption for 60 continuous days are mitigating factors in North Carolina that could result in a reduction of your sentence if you are convicted of DWI. If you are facing a DWI charge, one of your first steps should be to hire an experienced criminal defense attorney. Call our office today to schedule your free DWI consultation to learn what you can realistically expect during your criminal proceedings, get your questions answered, and find out how we can help you achieve the best possible outcome.